Feeling trapped in a lifeless marriage, Holly Lewis runs away from home one morning. She’ll come back of course, to her humdrum husband and two children, but after running into Seth, the divorced artist down the street, Holly begins to question everything. It doesn’t help matters that one of her friends seems to have an ideal marriage and another friend is starting over. When Seth helps her train for a half marathon, Holly wonders if she’s missing out on her soul mate. Should the promise she made to her husband, who now seems like a stranger, trump her own happiness? Can a dead marriage be resurrected? Rachel Allord lives in central Wisconsin with her husband and two children. Her articles and stories have appeared in various publications including Chicken Soup for the Soul books and MOPS International. 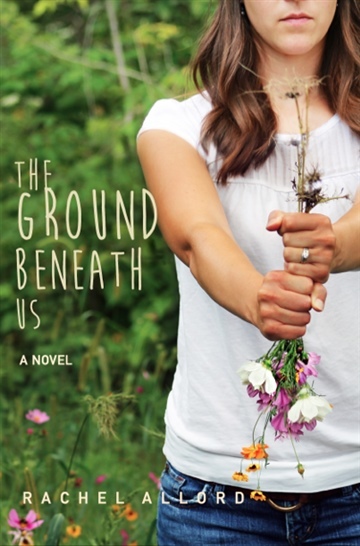 She’s also the author of two novels, Mother of My Son and The Ground Beneath Us. Rachel and her family plan to move to London England to serve with a non-profit ministry that equips and trains church leaders and uses the arts to share hope with impoverished families, immigrants, and those in the arts community.